Photo Zardari Sindhi Classical Music Singer. He was legendary Old Sindhi Classical Music Artist. Ustad Photo Zardari, was great Artist of Sindh, he sung lot of super hit great Sindhi Old Music songs in his own style. Ustad Photo Zardari sung songs in Sindhi, Saraiki and other languages. He had performed great role in popular Sindhi Classical Music, Lok Music, Sindhi Folk Music and Sindhi Sufi Music all across the Sindh. 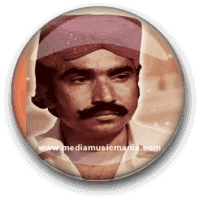 Ustad Photo Zardari is one of those rare "Classical Musicians" who expanded the peripheries of Sindhi Songs by taking it to the common masses. His rendering of "Kalaams" was divine and used to enthrall and transfix listeners, and transport them into a different singing Art. Ustad Photo Zardari had sung great poetry of popular Sindhi poets and he was very popular Artist of Sindhi old and new generation, he sung in Lok Mela, Grass Roots Mehfils, Shrines of Buzrigs in Sindh and also in marriage ceremonies. He sung on Radio Pakistan Hyderabad and Pakistan Television. He was called the Master of "Sindhi Mousiqui". He had sung lot of Sindhi Folk Music. I have selected below most popular Sindhi Classical Music of Artist Ustad Photo Zardari.